Failure by the President Muhammadu Buhari-led administration to reform the oil and gas sector has pushed the Nigerian National Petroleum Corporation (NNPC)’s revenue loss to over N546 billion. The trend does not only represent the loss of potential revenue for government but also constitutes a major challenge for the 2018 budget expectations and implementation. In 2015, the corporation lost N267.14billion. The following year, it was set back by N197 billion. And in 2017, data from its financial statements showed N82 billion in operational losses. Also, while the corporation earned N2.046 trillion in revenue in 2015, it spent N2.313 trillion, leaving a loss of N267.138 billion. Its corporate headquarters recorded the highest loss of N162.736 billion, while its product supply and distribution arm, the Pipelines and Products Marketing Company (PPMC) came second with N162.06 billion loss, followed by a combined loss of N82.09 billion from its three refineries. Its financial and operational report in 2016 showed that the corporation earned N1.726 trillion, but recorded an expenditure of N1.923 trillion. Losses from its refineries alone totalled N78.95 billion. In a review by Bloomberg, the latest account, showed that losses from refineries and corporate headquarters alone stood at $500 million. Industry experts told The Guardian that besides the absence of reform, NNPC’s self-regulatory and above-the-law modes were partly to blame. They also expressed concern over the leadership tussle between the Minister of State for Petroleum Resources, Ibe Kachikwu, and the NNPC Group Managing Director (GMD), Maikanti Baru. They noted that the inability of the National Assembly and the Presidency to address the alleged bypass of due process in the signing of about $25billion contracts indicates transparency and accountability are lacking in the sector. 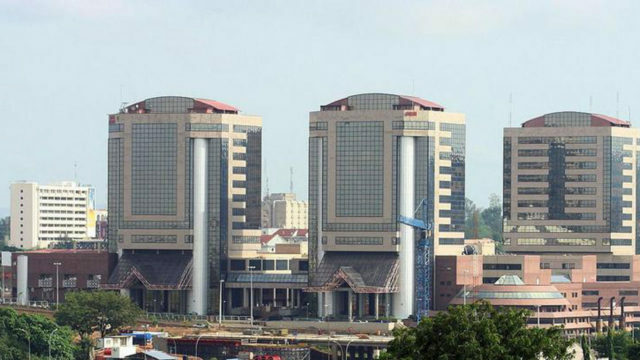 Though the current administration once blamed NNPC’s involvement in commercial, operational and regulatory roles for woes plaguing the sector, the stakeholders expressed surprise the situation has remained unchanged. They added that unless NNPC becomes more like a private entity through a major reform that would abolish the extant law that created it, especially as outlined in the Petroleum Industry Bill, the company might not be able to make profit. At a 2015 election eve debate organised by the Nigeria Political Parties Discussion Series (NPPDS), Lai Mohammed, the then National Publicity Secretary of the All Progressives Congress (APC), now Minister of Information and Culture, had said the APC government would not only unbundle the NNPC, it would ensure it publishes its balance sheets periodically for public scrutiny. “The NNPC is too powerful and self-regulatory. There is no way the NNPC can regulate itself. It should concentrate on operations,” he said. With the rising crude oil prices and the absence of functioning refineries, the analysts said things could worsen in 2018 as the cost of products, especially petrol that is largely imported, has been pegged at N145 per litre. The larger part of the losses made by the company in the past three years came from the corporate headquarters, refineries, and mounting under-recovery from the import of petroleum products. The President and Chairman of Council, Chartered Institute of Bankers of Nigeria, Prof. Segun Ajibola, is unsure the company will make profits anytime soon, because government is backing revenue that falls below cost. “If they continue like that, the deficits will continue to grow. But if the reverse happens, then surplus will be generated to take away the deficits,” he said. He was, however, optimistic that the signing of the Petroleum Industry Governance Bill into law would address key issues, stressing that the government needs time to tackle the challenges. Though the losses made by the company in 2017 showed signs of hope above the deficits made in 2015 and 2016, the operating income it budgeted in the three years was not met. In April, the under-recovery or subsidy paid on petrol reportedly hit N1.4 trillion. Losses on refineries, which have a combined capacity of 445,000 bpd but turned out small quantity of refined product, stood at about $100 million in 2017 alone. Sources close to the ministry said the face-off between Kachikwu and Baru has even prevented the ministry from holding board meetings. They said the vacuum created by the tussle has been delaying reforms promised by the current administration. NNPC’s Group General Manager, Public Affairs Division, Ndu Ughamadu, however, denied this, saying board meetings were still being held. He insisted the corporation is working towards profitability with necessary mechanisms but did not outline what these mechanisms were. The Spokesperson for the Ministry of Petroleum Resources, Idang Alibi, had not responded to request for comments before this report was filed. “How many times have you heard about the board meetings of the NNPC? When was its full account ever published or audited? We do not hear about the quarrel between the minister and GMD. But the two people remain there, and everything is buried under the carpet,” said one of the sources. The Senate had set up a committee headed by former Sokoto State Governor, Aliyu Wamakko, to investigate claims by Kachikwu over lack of due diligence in the award of contracts. Nothing, however, has been heard from the committee since the matter broke last year. The absence of properly outlined roles and accountability mechanism, and the failure by the president to relinquish the office of Minister of Petroleum Resources are holding the country’s economy to ransom, said Auwal Ibrahim Musa, Executive Director of the Civil Society Legislative Advocacy Centre (CISLAC). “The tension is not over because the issues that have been raised are not addressed. There is mistrust between the GMD and the minister. What we are seeing is window dressing. If they are working together collaboratively, and if the whole process is transparent, there won’t be these issues,” Musa said. Nothing new has happened in the sector under Buhari’s administration, particularly in terms of accountability, transparency and openness, said Idayat Hassan, Executive Director, Centre for Democracy and Development (CDD). “Subsidy is a good example. This is a government that told us it is not paying subsidy. Then all of a sudden, it introduced subsidy through the back door. The opaque system has remained as it was in previous years. The promises of unbundling the NNPC have not come to pass,” said Hassan. She denounced ongoing leakage, adding that unless there is accountability, funds from the sector could be used to finance 2019 election campaigns. 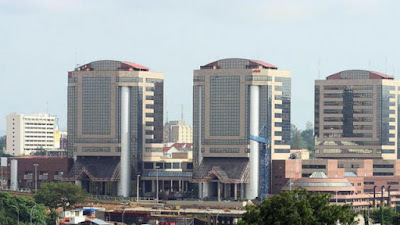 Professor of Petroleum Economics and Policy Research, Centre for Petroleum Energy Economics and Law, University of Port Harcourt, Wumi Iledare, linked the poor performance of the NNPC to the delay in the passage of the PIB. He stressed that the eventual passage would remove government control and drive the company towards profit making. He regretted that the absence of core reforms has resulted in decline in revenues, oil and gas production, national reserves and investments. Also, uncertainty in legal, regulatory, fiscal and commercial frameworks has led to declining competitiveness and infrastructure deficits.